Welcome to Illinois Conveyor Enterprises! Illinois Conveyor Enterprises is one of the premier conveyor outfits in the United States. Our trained mechanics have a minimum of 25 years of experience working with conveyors. We take pride in all of our work and have a time-built reputation for quality. 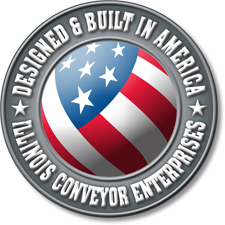 Be sure to call Illinois Conveyor Enterprises for all of your conveyor needs. 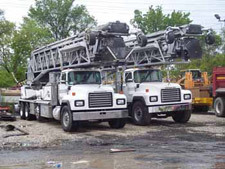 Illinois Conveyor Enterprises offers repair from small troubleshooting work over the phone, to electrical switches and on to complete rebuild and reconditioning jobs. No two conveyors or clients are alike and we can plan our work based on the individual conveyor as well as the client's budget. 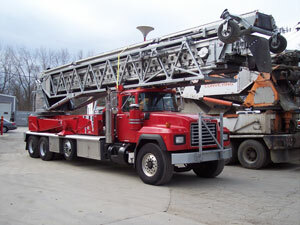 Illinois Conveyor Enterprises offers emergency jobsite repair. When your need arises, we will be ready to fix a small problem or even rebuild your conveyor to like new condition. 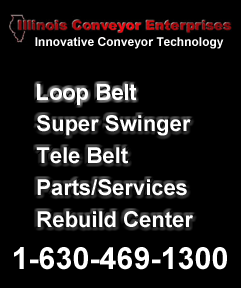 Illinois Conveyor Enterprises provides troubleshooting and complete rebuilds of Super Swingers/Telebelts and Loop Belt conveyors, as well as a variety of conveyors for the construction industry, world wide.